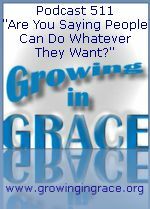 Growing in Grace Podcast: 511. "Are You Saying People Can Do Whatever They Want?" 511. "Are You Saying People Can Do Whatever They Want?" 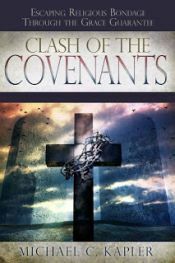 The position we have proclaimed that the ministry of the Spirit of grace has replaced the Old Covenant of death and condemnation, will frequently lead to the accusation that we are sending the message it's okay to sin. Covenant mixers instinctively assume if we have no list of rules to live by, it encourages people to run wild and that behavior doesn't matter. Since their own spiritual identity has been bound to following rules, they have a hard time understanding the freedom from law that came through Christ and the new heart and motivation of love that is found in Him. Our growth in grace will change our perspective and our desires.